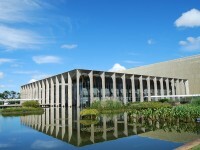 Architect Oscar Niemeyer designed all the significant buildings in Brasilia. He did the best! He loved to work with forms but not so with details, landscaping and materials. Niemeyer rather worked only with bare concrete. 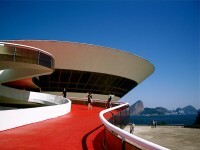 Niemeyer worked together with Roberto Burle Marx he was the most excellent landscape designer, and Milton Ramos materials – and detailing-focused architects, and Alfredo Ceschiatti he was a gifted sculptor and artist. All the buildings he worked on had accepted to the plan of Lúcio Costa. The outcome of these great architects is a compilation of buildings that called the best expression of modern improvement on earth. 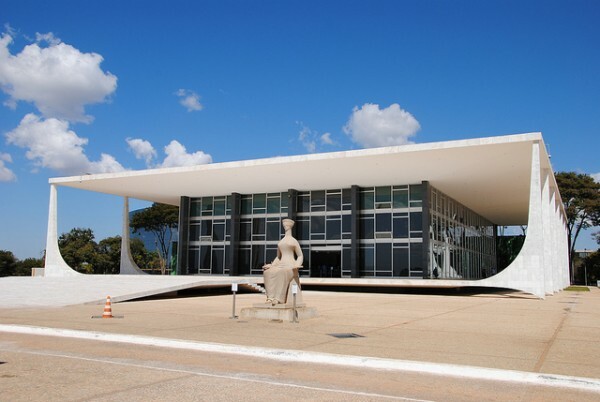 In front of the Planalto Palace crosswise the square is the Supreme Court, before of it a monument to Justice. The main courtroom and the meeting rooms are on the ground floor. The Chief’s office, Noble Hall, the Council Hall and the Attorney General’s offices are on the first floor. On the second floor is a 80,000 volume huge library. The Congress is between the Planalto Palace and the Supreme Court. 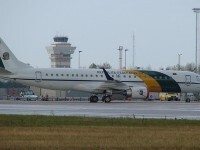 It is consisting of double towers, the Senate and the Chamber of Deputies. Between the two towers is a ramp, which is formed a letter “H” it comes from “Humanity”. Visitors can go into the Senate and the Chamber of Deputies. Burle Marx and the ceramic tiles by Athos Bulcão designed the winter gardens. This Museum is situated near the square. It is a bare marble room on the extended wall there are 8 inscriptions telling the history of Brasilia. The building of Panteão da Patria was built to Tancredo Neves commemorate, he was President in 1985 and died on the eve of his inaugural ceremony. 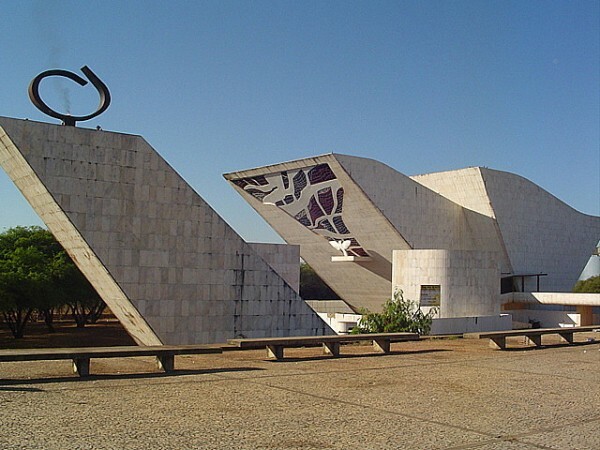 Niemeyer designed this monument in the dove shape to symbolize liberty and democracy. Catedral Metropolitana was built for 12 years. 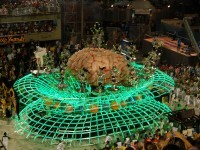 It was dedicated to Our Lady of Aparecida. The cathedral’s shape is circular it has a symbol of 2 hands united in prayer. On the church’ entrance there are four bronze statues of Christ’s disciples made by Ceschiatti. The City Park was designed by Lúcio Costa the urban planner, Niemeyer architect and Burle Marx the landscape artist. There are cycle paths, jogging soccer fields, fishing lake, kayaks and pedal-boats, a restaurant and other facilities. 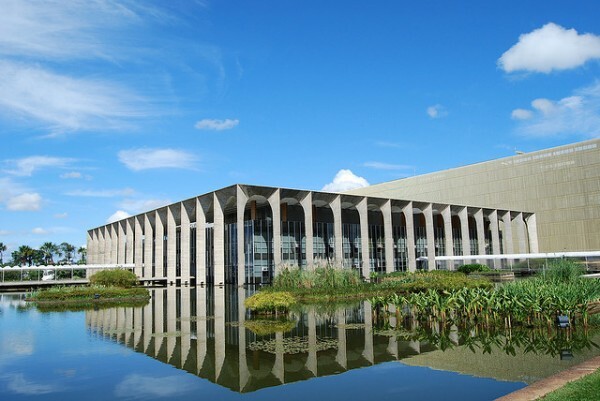 The Palacio do Itamaraty is the most gorgeous modernist structures, today serves as a ceremonial reception hall. The structure of it is ultra-modern; decorated with antique and hand-carved furniture from jacaranda-wood, carpets from Persia, and paintings from 18th and 19th century. The TV Tower is 75 meters high. There is a platform with a great view to the city. Lot of visitors are climbing up the tower at the evening time to watch the wonderful sunset.